Affirmations are short phrases that are repeated over and again. They can be extremely powerful in achieving anything you wish to achieve or attract into your life if used in the correct way, especially in conjunction with visualisation and other senses of the imagination. 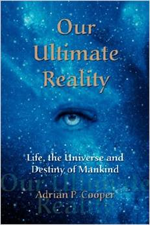 My book, Our Ultimate Reality covers all aspects of visualisation and using the immense creative powers of the imagination. The main objective of affirmations is to "program" your subconscious Mind for success in whatever it is you wish to achieve or attract into your experiential reality. The subconscious mind is 90% of your total Mind and therefore has by far the biggest and most profound influence over whatever it is you wish to attract. The subconscious Mind is also sublime, that is to say it never, ever questions your instructions and never has alternative ideas. To the subconscious Mind whatever you say goes! The question is then how can we most effectively program the subconscious Mind? The first obstacle to overcome is the conscious Mind, that 10% of your total Mind that you use in everyday life to interact with the physical world. Although the physical Mind is only 10% of our total Mind, because it is interacting at a fully conscious level it will tend to intercept and analyse everything we direct at the subconscious Mind, and if it does not agree, which can be most of the time, it will reject it there and then. The conscious Mind is often resistant to change, preferring things just the way they are, for better or for worse. This is why affirmations frequently fail to work for many people; the subconscious Mind is simply not receiving the message. Our challenge therefore is to bypass the conscious Mind to gain direct access to the subconscious Mind. There are three main ways of accomplishing this. The first is to repeat the affirmation, or be exposed to the affirmation so many times that the conscious Mind cannot intercept and reject them all. Another method is to use affirmations in such a way that the conscious Mind cannot perceive them, and as a result the affirmation goes directly to the subconscious Mind. The third method is to use affirmations at a time when the conscious Mind is less active and the Mind generally is much more receptive. These best times are just before sleep and just after awaking. Saying affirmations until you drift off to sleep is very powerful.Not only does it reach the subconscious Mind much more readily, but by taking the affirmation into the sleep state it will continue to influence the subconscious Mind during sleep. Repeating affirmations as you awake is also very effective, but you only have a small "window of opportunity" during the waking process, so make the most of it. You can reinforce your affirmations during the day by writing them down on "sticky notes" and placing them around your home, office desk, in your car and anywhere else you will see them frequently. The important thing is to drive the message home to the subconscious Mind by all means to hand. Affirmations must always be repeated in the present tense and must be short. For example; "I attract money easily", or "I feel completely healthy" or "I am my ideal weight" and so on. Many people make the mistake of creating affirmations that are too long, and also creating too many related affirmations. The Subconscious Mind, although very powerful, is also very simple in the way it perceives things and is easily confused. Affirmations must therefore be short, unambiguous and few in number. No more than 10 very closely related affirmations should therefore be used, and they should be of as few words as possible. It is also very powerful to affirm that you are an aspect of the Divine and therefore a creator. 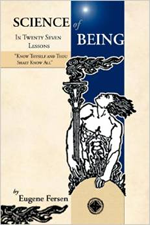 For example; "I am an aspect of The Source Energy"; "Source Energy flows through me at all times"; "There is nothing I cannot be, do or have" and so on. This is affirming that you are an infinite, immortal aspect of The Source, The First Cause, "God", and as such you are a co-creator within, and for the good of the Universe. Three further aspects of making affirmations much more powerful and which can make the difference between them working or not is belief, gratitude and emotion. You must believe that the object of your wishes is here now, which it really is, and is merely waiting to arrive into your life. Another is gratitude; always feel grateful that you have already received and are enjoying the object of your desires. Emotion is extremely powerful because it raises your vibrational state making the attraction process much faster and more efficient. Feel therefore how happy your are to be in possession of your desires. It is a good idea to meditate on your desires as often as possible, repeating your affirmations and with as much belief, gratitude and emotion as you can. Many people go by the saying "seeing is believing". That is exactly wrong! The truth is "believing is seeing". Remember; there are no limits to what you can attract into your life. There are numerous cases of people changing their lives almost overnight with affirmations. One famous self-improvement person went from living in a tiny two bedroomed apartment, washing his clothes in the bath and generally just about getting by, to owning a huge mansion with swimming pool and everything else associated with wealth in just over 12 months just by repeating one affirmation. I have alot more to say about the power of affirmations in my book, but I hope you have enjoyed this introduction.